I’m sorry for going M.I.A. yesterday. I didn’t end up getting off work until about 6:30 and then I went to the gym for a bit to do some light core work and met the husband for a quick dinner (tilapia and broccoli – still lean!). I got home around 9:00 and promptly fell asleep on the couch until we headed up to go to bed. I was very excited for a reset this morning. Yesterday was exhausting as Friday’s usually are for me. I started my morning out with a pre-workout. 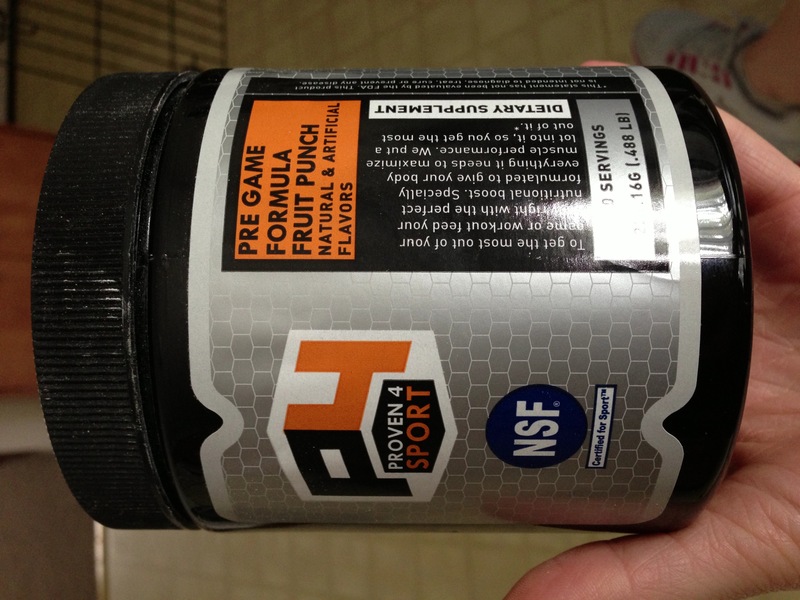 I selected P4 Pre Game Formula Fruit Punch and the AMINO Blue Raspberry that my husband got me for our anniversary. 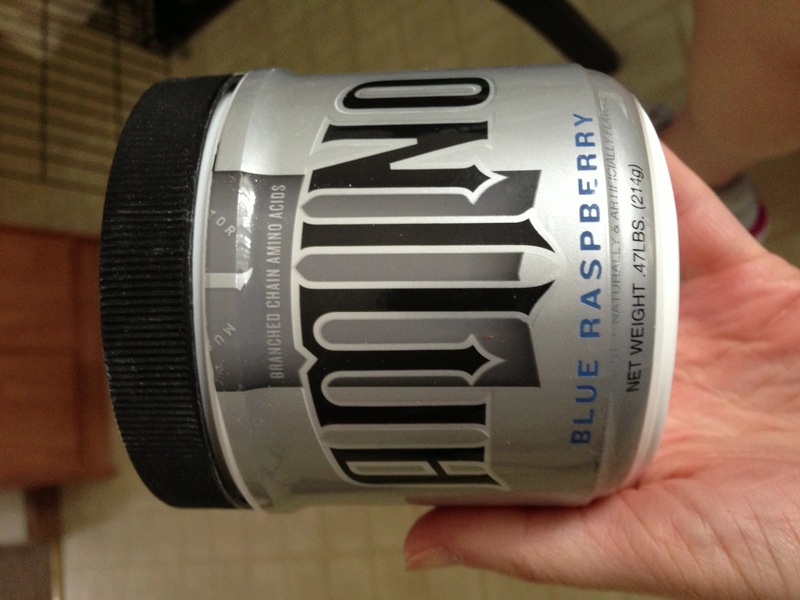 It was a great combo and definitely helped me get pumped and ready for the workout this morning. Today’s workout was TOUGH. 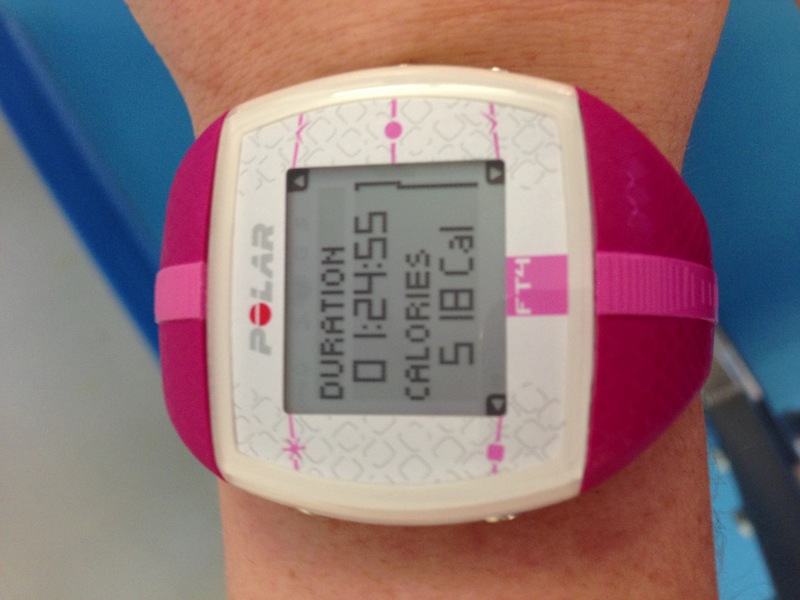 It really pushed me to new limits through out the entire workout. 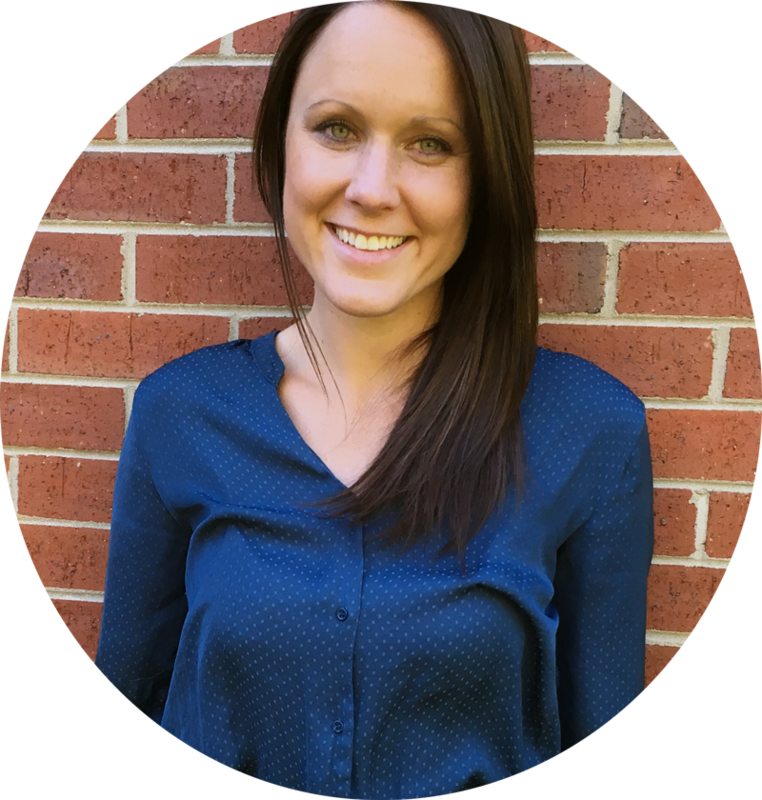 Carrie from ThisFitChick sure knows what she is doing when she planned out these exercises! I was really proud of myself for getting through it. I was pretty proud of my stats today and knew that I really pushed as hard as I could have today. Post workout picture. 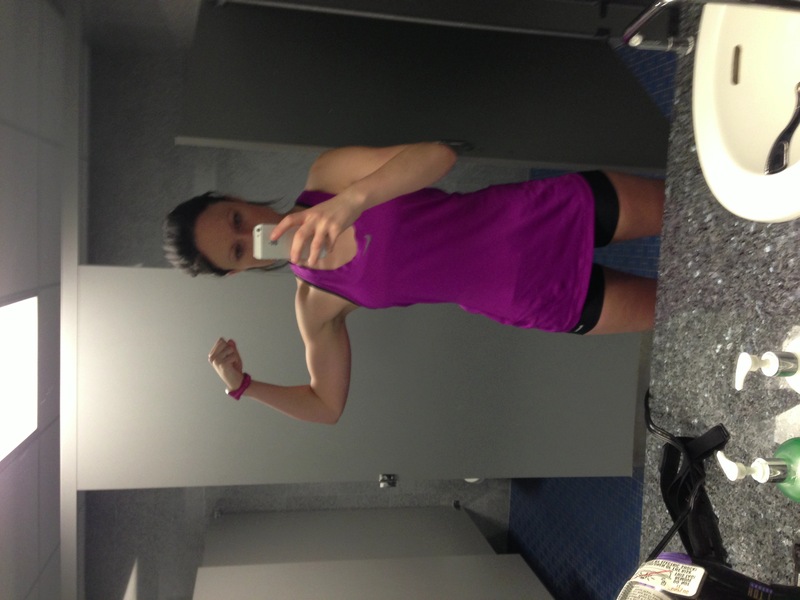 I would say my arms are coming along nicely. I still have a long way to go but any progress is PROGRESS! The husband and I are heading to Cleveland for the evening. I need to get my iPhone fixed and that is the closest Apple store around. We decided to make a small date night out of it and go to dinner while we were there. It should be a nice break from the monotony of Erie and nice to try somewhere different. PLUS it is an even better bonus that it is my cheat meal – BRING ON THE FOOD!